Last week I attended my first HOW Design Live thanks to the fine folks at The Association for Print Technologies (APTech) who helped me secure a press pass. Attending a HOW event has been a dream of mine since my advertising days. HOW magazine was (and I assume still is) a must-read to stay current on the design trends, people, and executions worthy of inclusion, as well as a consistent source of inspiration. Needless to say, I have been ready for this, a long time. From the outside, if you have been to print industry events the format and objectives were comparable: education, thought-leadership, networking, and solution sharing manifested by exhibitors. From the inside, things were quite different… in fairness different than I expected… different than my assumptions of what I thought a design conference would be. 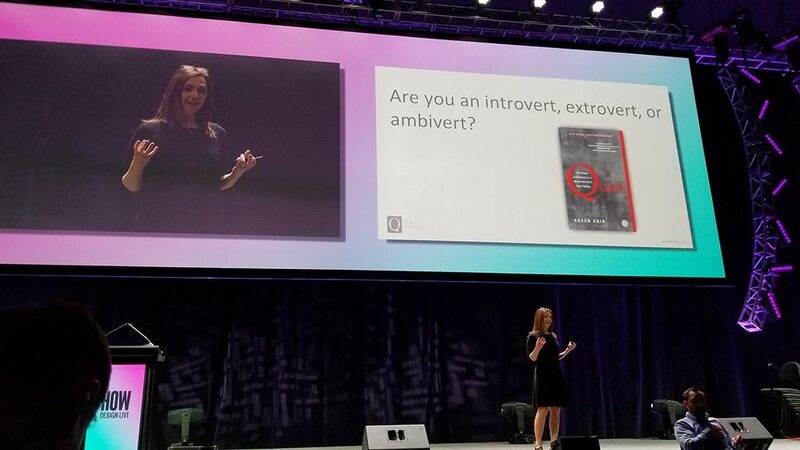 In one of the more poignant keynotes to help us understand our creative partners, Susan Cain, author of Quiet Revolution proved by a show of hands that most of the attendees at HOW Design Live defined themselves as introverts. This won’t be a shock to anyone who spends time with creatives, but to NOT implement that understanding into every interaction you have with them is a big mistake. That quiet space after your pitch, it’s not another opportunity for you to talk. It’s the time to wait, let them process the information you have shared, and ask questions. Don’t assume that quiet space is disinterest or lack of understanding and supplement with more words from your mouth. Just back away. Follow-up gently and create the relationship that they need from you… which also includes how, how often and when is best to contact them. Once More, with Feeling. MORE Feeling. Many of the sessions and keynotes at HOW Design Live had emotion in the subtext. Art, and the process of creation, is emotional. If you are attempting to win work or present new print opportunities to creatives, keep it emotional. Look to your heart rather than your pocket when choosing your words, your samples and your reason for contacting them. All of that has to combine to feelings: about you, your capabilities, and executions you can provide. The rest follows. They REALLY, Really, Really… Don’t Want To Talk To You. Or anyone. Don’t take it personally. If you do not by now have a way for people to learn everything there is to know about you, what you do, how you do it and even how much it costs without speaking to you, last call. The Millennials on the higher end of the 22-37 years old spectrum will pick up a phone if they have to, the younger end might, but the Gen-Zers right behind, hell no. They have lived their entire lives online, and that is how they will do business. Get on their page. Once More, with Feeling. EVEN MORE Feeling!!! Ok… If you have gotten here I am rewarding you with this final takeaway…. PRINT WAS ALMOST NON-EXISTENT at HOW Design Live. Discussions about data were relevant to design and stopped way short of using data in execution. I know, it was a design conference… but design doesn’t live in a vacuum void of print executions. Variable data matters and understanding how it can be used is a design topic. A few clever Printers had booths and a few paper companies represented. NO press manufacturers had booths. NONE. The sessions were even more frightening in regard to the lack of topics and information the print industry would HOPE were being discussed at a design conference of this caliber. 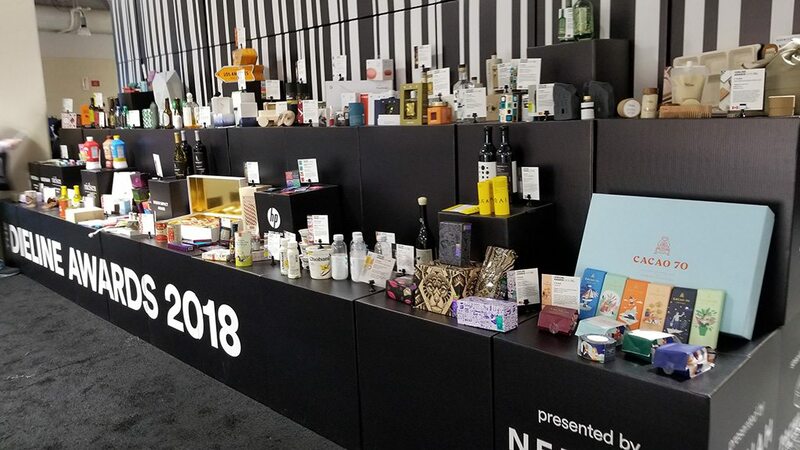 To my utter surprise, and dismay, not ONE printer was thanked by winners of The 2018 Dieline Awards for packaging. I’m sorry, but that is just crazy and wrong to me. Designs don’t manifest into physical reality without print partners, let alone packaging. I don’t have an answer for why print as a topic was untopical at HOW Design Live, but I made sure to talk to as many attendees as I could and find out if PRINT was something they cared about. The honest answer was that most didn’t feel that the topic was missing from the agenda… UNTIL… they gave me the chance to explain how the manifestation of their designs into printed reality could be improved by understanding all of the output opportunities available to them today. Then their eyes widened, and their introvert brains began to process the value of receiving this type of information in conjunction with the design-centric educational program in place. There are more than 350 days until the next HOW Design Live. I am going to spend many of them working with anyone/everyone from HOW to bring printspiration and resources to our design friends, and open up their print possibilities. 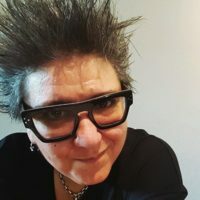 Meanwhile, you do the same with your connections, and I’ll see you at HOW Design Live 2019. Okay, so the point is EMOTION & FEELING. Stick to it if you want to connect with customers through print. Thank you for this valuable insight. Spot on regarding the disconnect between the packaging award and not thanking the print vendor that delivered the designers vision. Also interesting that there was discussions regrading data, but not about successful execution with data. Hmmmm would that be an opportunity calling? I really appreciate this because it helps me focus on the “X factor” value I can bring to help clients stand out. As a marketer working in a large format printing company, I totally agree on the point where millennials rarely pick up their phones and Gen-Zers will not pick up the phones. Our baby boomers get frustrated when people don’t pick up their phone and they are wondering why. People request quotes from our website but when we give them a call they don’t pick up. Even for some of our clients, the print department in these companies is going extinct. Today, people want to buy prints, get artwork approval, pay for it and track their progress from factory to delivery all without picking up the phone. Companies like VistaPrint are already disrupting the industry. They are already getting a lion’s share of the small business side of print where they would buy 500 business cards or 100 brochures. Sooner or later, they will start stealing market share from bigger players like the events, trade shows, corporates, etc.